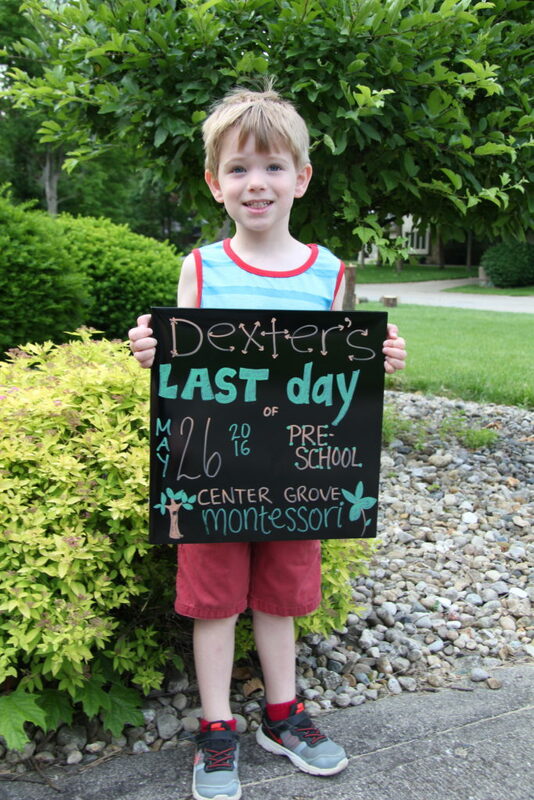 Dexter completed pre-school and Theo graduated from Kindergarten at the end of May. 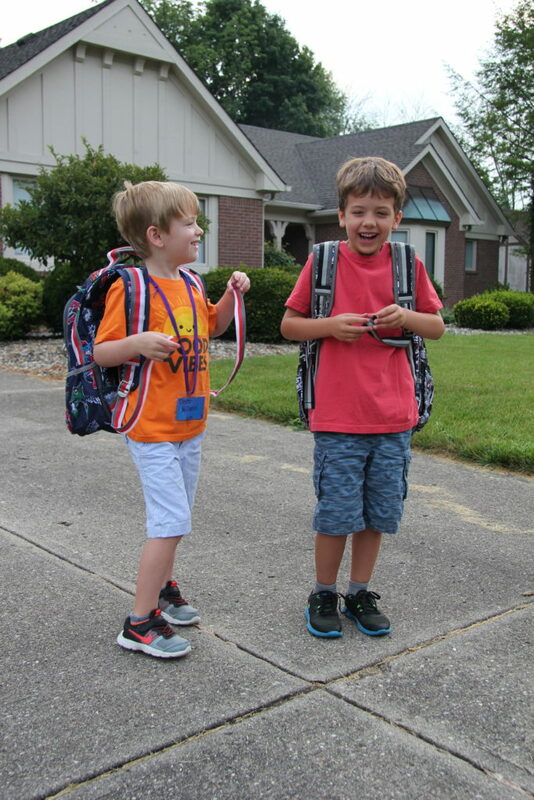 Here we are, already almost a full week into their school year. 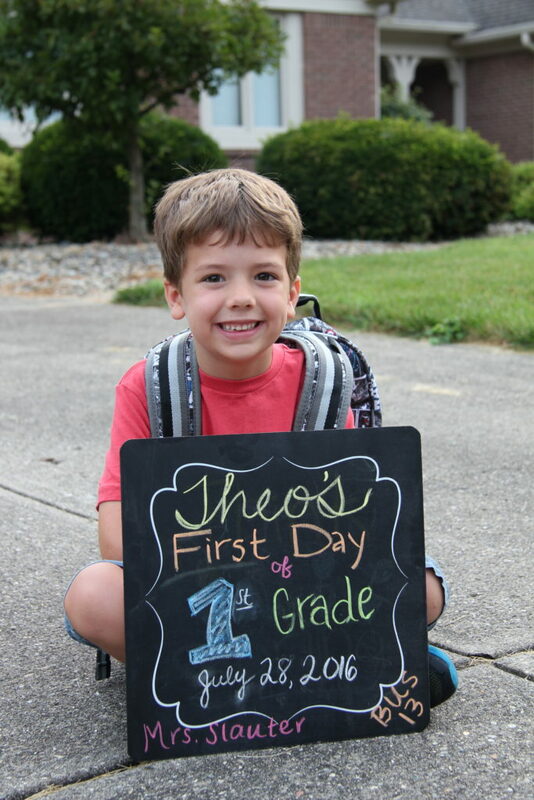 It’s hard to believe that my youngest is now officially in elementary school. We feel so lucky with the teachers our boys have this year. 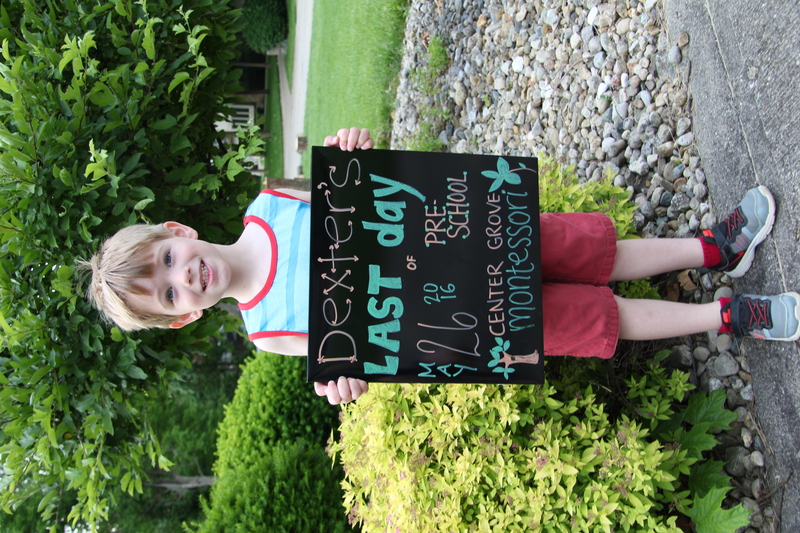 Dexter has the same Kindergarten teacher Theo had last school year. 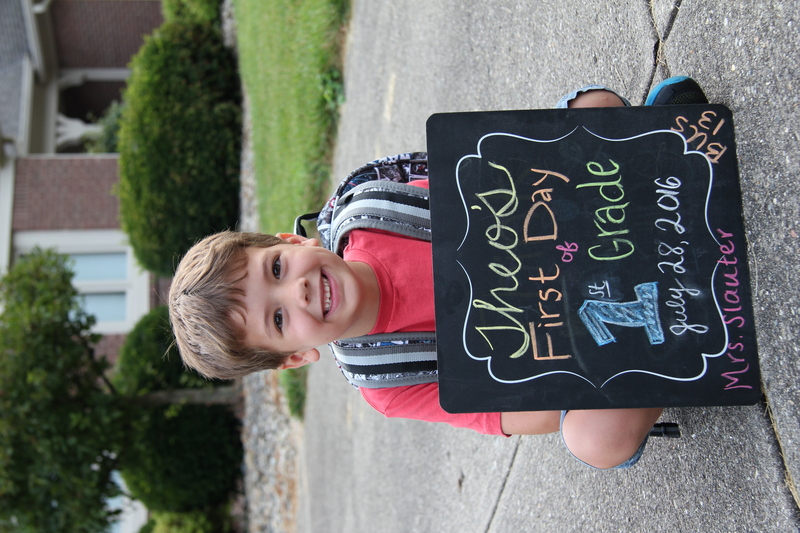 We had heard wonderful things from 3 different sets of parents about Theo’s first grade teacher and after meeting her and hearing more about her teaching philosophy, we are jumping on the fan club bandwagon too. Summer flew by. 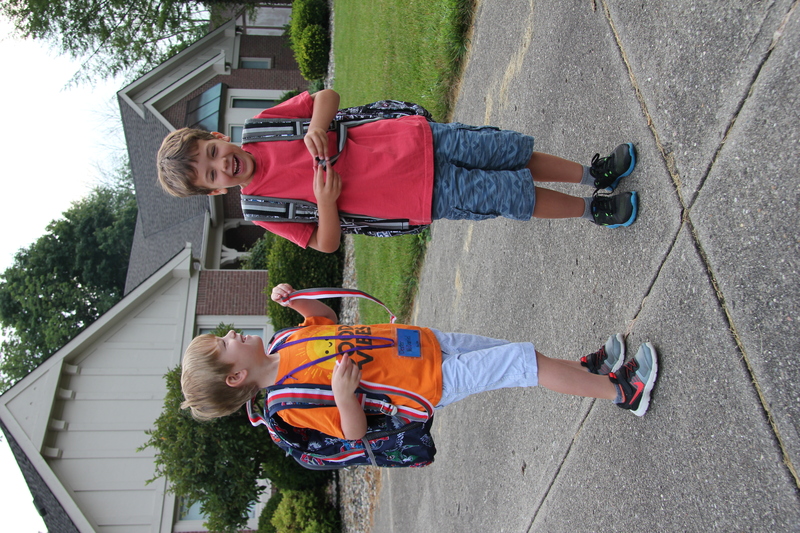 Nine short weeks from the last day of one school year until the first day of the next. They went to a summer day camp for 8 weeks. 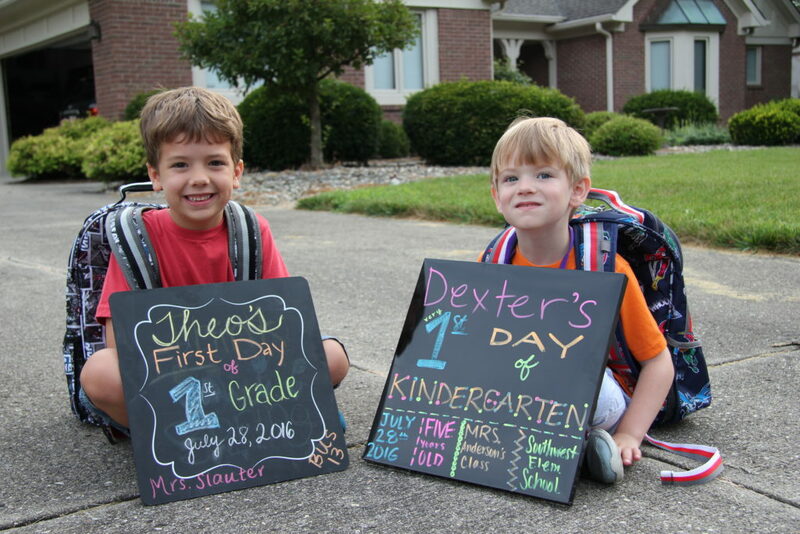 Theo was in the Kindergarten and up class this year while Dexter was still in the pre-school class. The separation was a little difficult a few days here and there but overall everything went well. 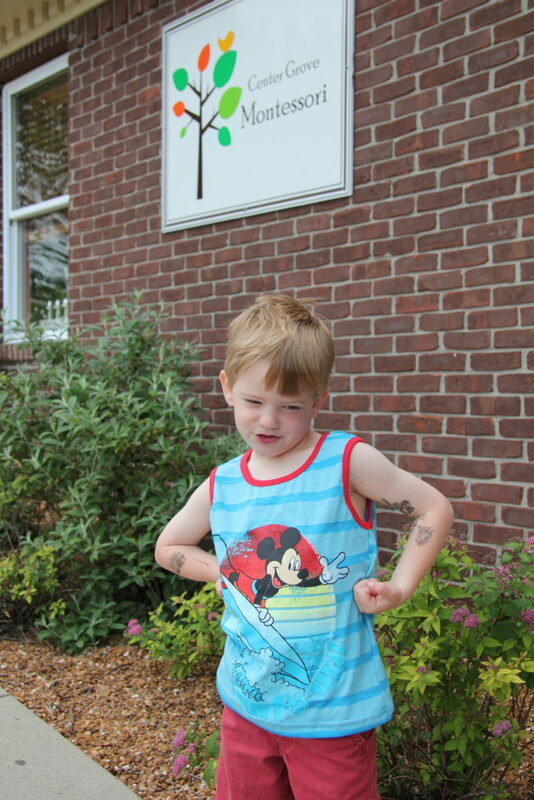 Theo had the opportunity to swim every day and about halfway through the summer, he passed a swim test so that he no longer had to wear a lifejacket in the pool. Now he is comfortable with swimming above and below the water and swimming down to touch the bottom of the pool. 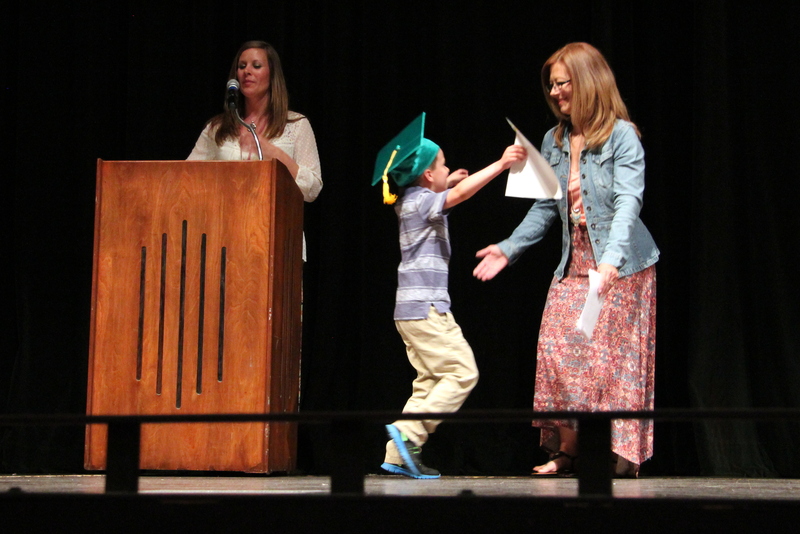 My mama heart wants to beat out of my chest watching him (like a hawk) but he is so proud of how much he’s learned and I am too. 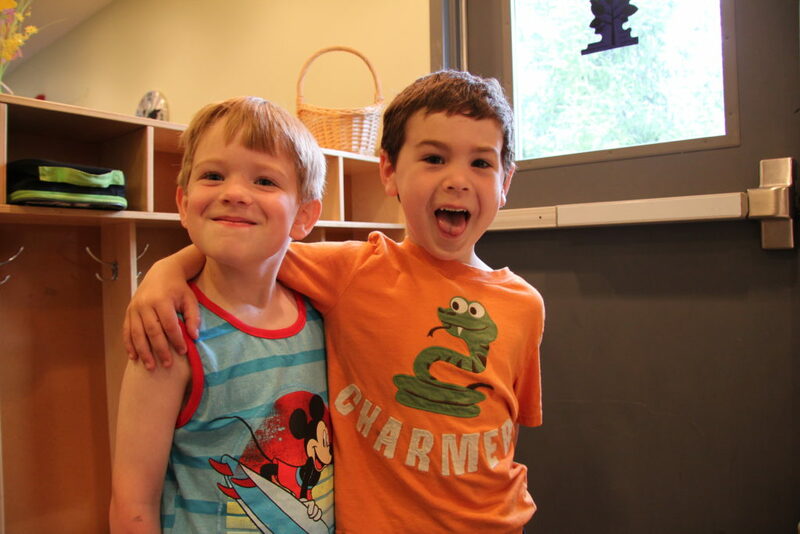 Dexter reunited with a favorite friend from summer camp last year and begged almost every day to have him come to our house for a sleepover. Ha! If only it was that simple. Maybe if they meet up again next summer, we can try to arrange some get-togethers. 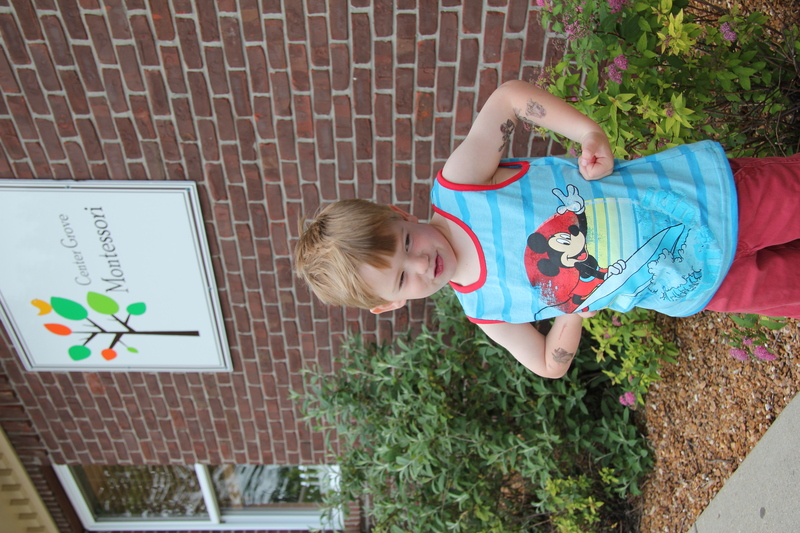 Dexter always looked forward to seeing Theo at the flagpole and playing with him during before care for about 20 minutes. 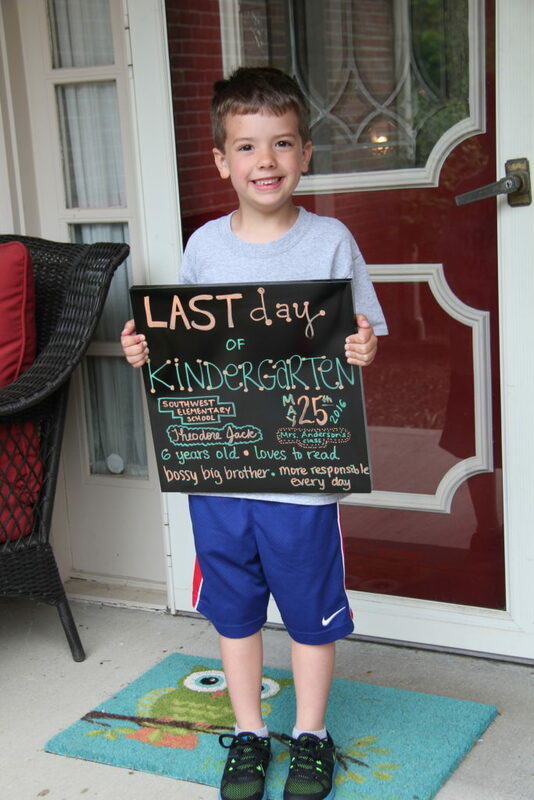 Every day on our way home from camp, we passed their former Montessori pre-school. Of course, going there is fresh on Dexter’s mind, as are the friends we leave behind as we transition to this next phase in their lives. 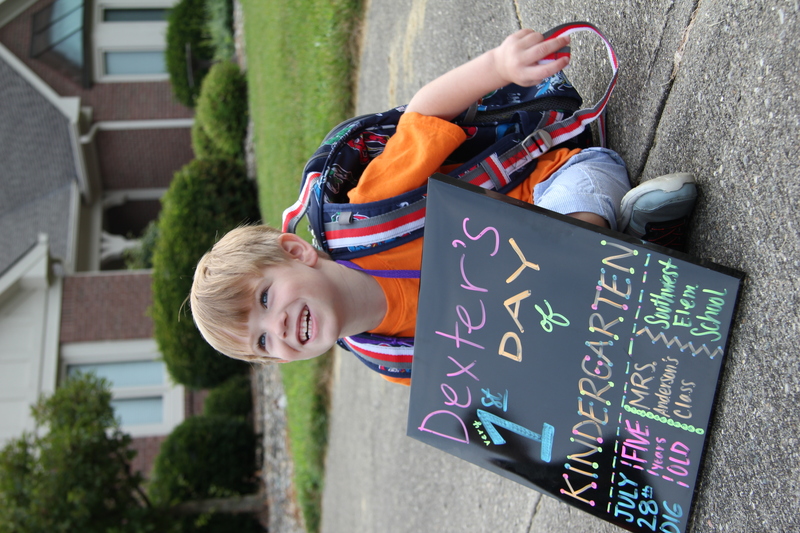 Often, Dexter would comment that he missed school, his teachers, or various friends. Theo never looked back once he left Montessori school so this has been a change of conversation and a little bittersweet. It hurts my heart to know that he’s thinking about the past longingly like that but I know that he too will move on. Soon those days will be a distant memory for him. Thankfully, we’ve become friends with the parents of some of his closest friends and hope to continue our connection to them and the school where it all began. 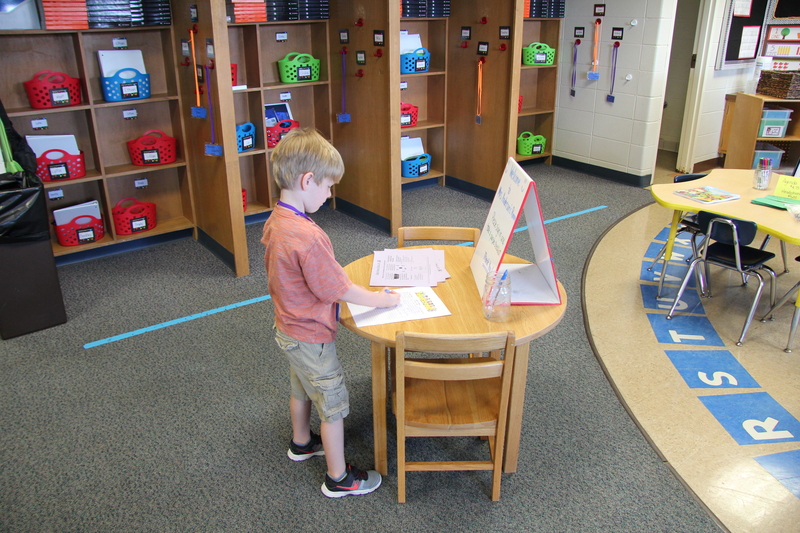 After 3 days of Kindergarten and 1st grade, I complained about not getting enough information. I’d ask them a million questions but I think they are just so busy that they can’t pick out specific details to share with me. It’s been an overwhelming change for Dexter. Theo is very excited about his teacher and having some of the same friends from last year in his class again. 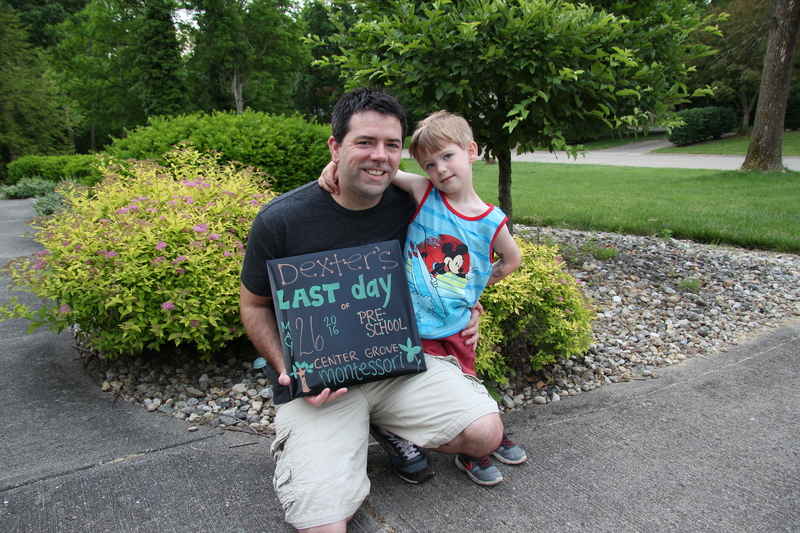 Dexter has been a little wild and crazy as he always is when big life changes are going on. Every day, everything is “good!” or “great!” so I’m trusting that all is well. 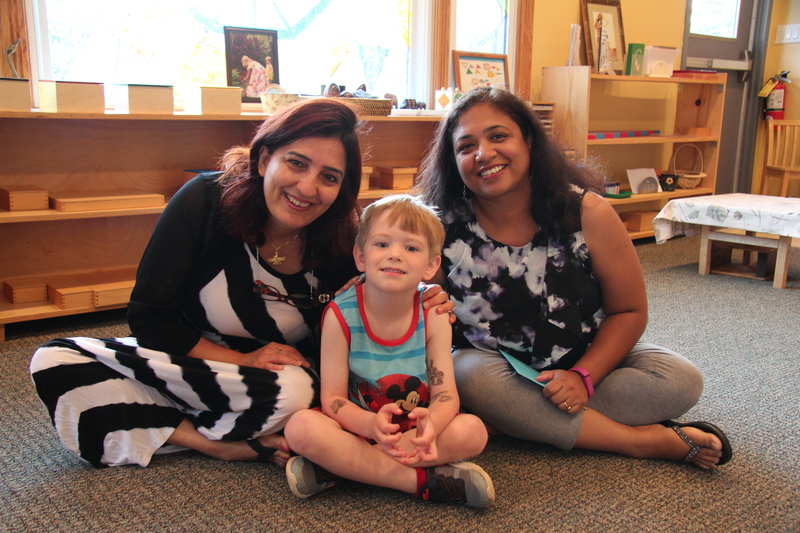 I’ve been trying to hold back from emailing Dexter’s teacher for at least a week as he settles in to new routines and develops new friendships. Well, today on the fourth day I wish I had a little less information. 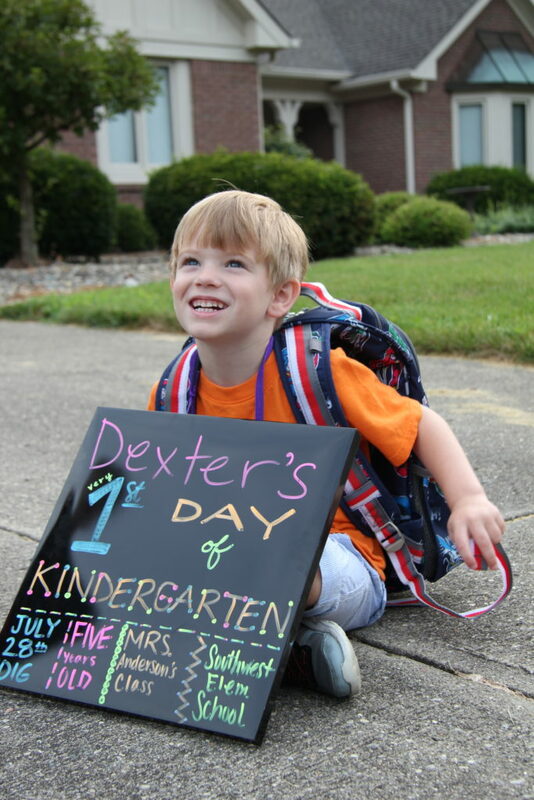 Dexter said he had to walk five laps around the playground at the beginning of recess for talking while the teacher was talking. While I’m not terribly surprised, it’s disappointing and I kind of wish I was in the dark again. 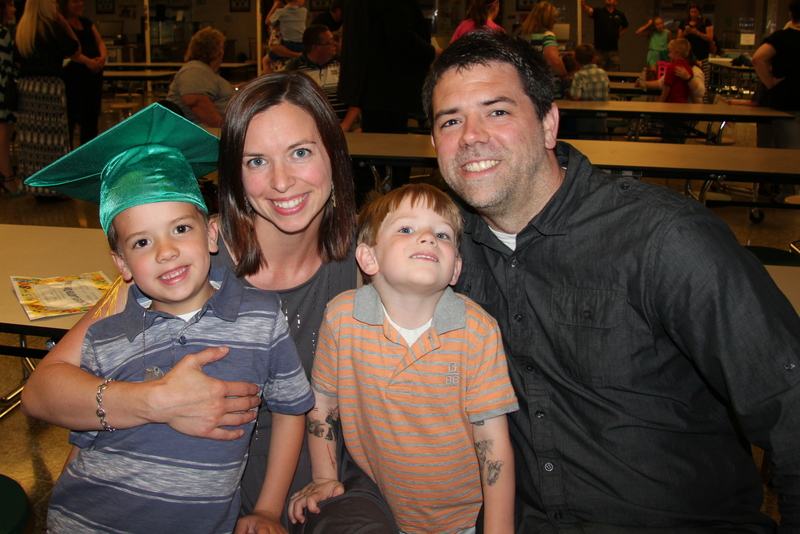 Having a little one starting Kindergarten is tough on parents. 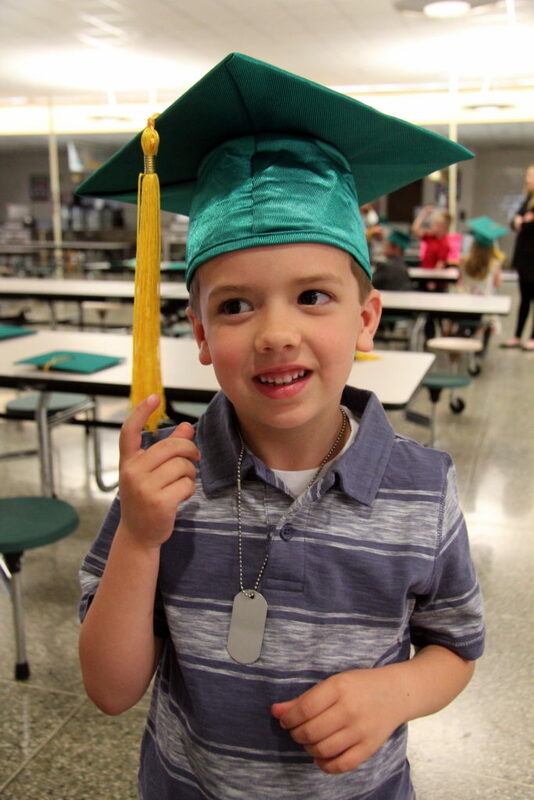 I always heard people talk about crying when their “babies” started school and I guess it’s one of those things where you nod and give an empathetic “aww,” but you truly don’t understand what a big milestone it is until it happens. Before kids, I dreamed of having babies and young children but I guess my daydreams didn’t go much further than that. As a young girl, young woman, and young wife, I envisioned holding my babies for a good 20 years or more before I ever had any. 9 months of pregnancy flies by. A year of infancy and a couple years of toddlerhood fly by. The next thing you know, you’re ushering them onto the school bus and waving goodbye to them and their baby days all at the same time. Those precious 5 years are so unbelievably hard at times, but more than that, they are ridiculously short. 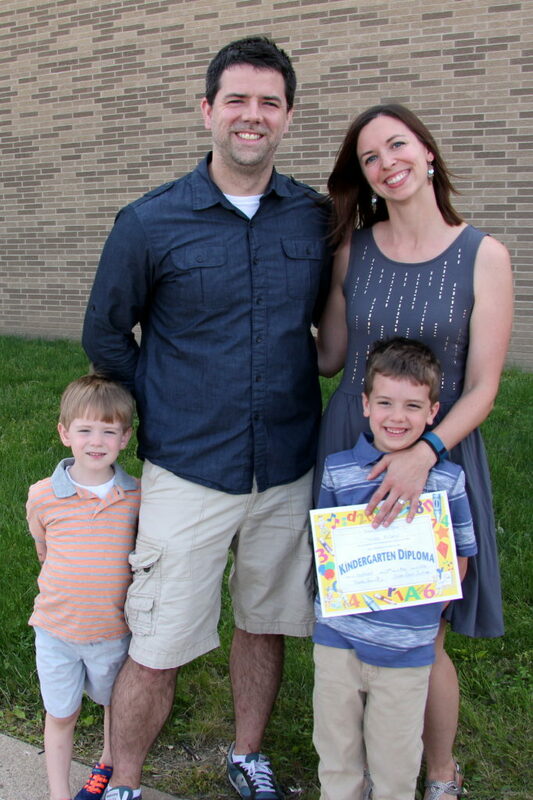 When you send them off to Kindergarten, it is a milestone for the parents too. 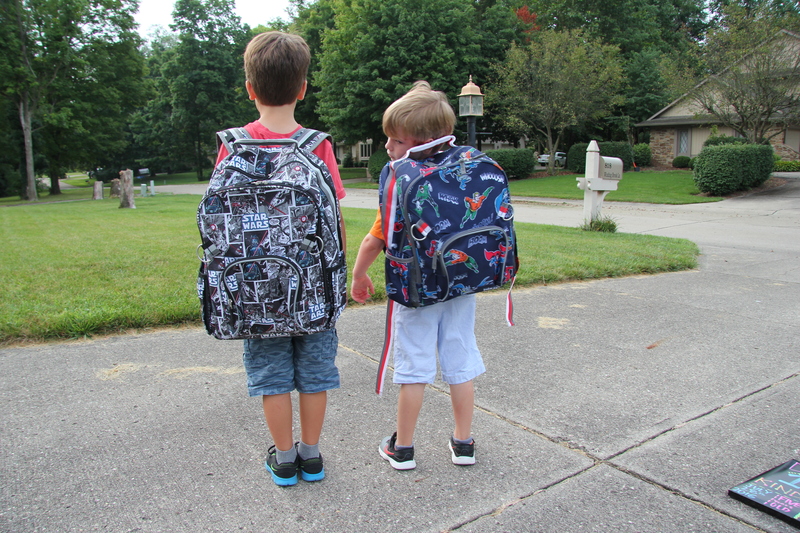 Off they go…into the world, or their miniature version of it anyway. I hope they are kind to others. I hope people are kind to them. I hope they follow the rules, but stand up for themselves when they need to. I hope they pay attention. I hope someone pays attention to them, shows them that they care. I hope they work hard and take pride in their accomplishments. I hope they enjoy learning. I hope I’ve prepared them well. I hope they enjoy their childhoods. 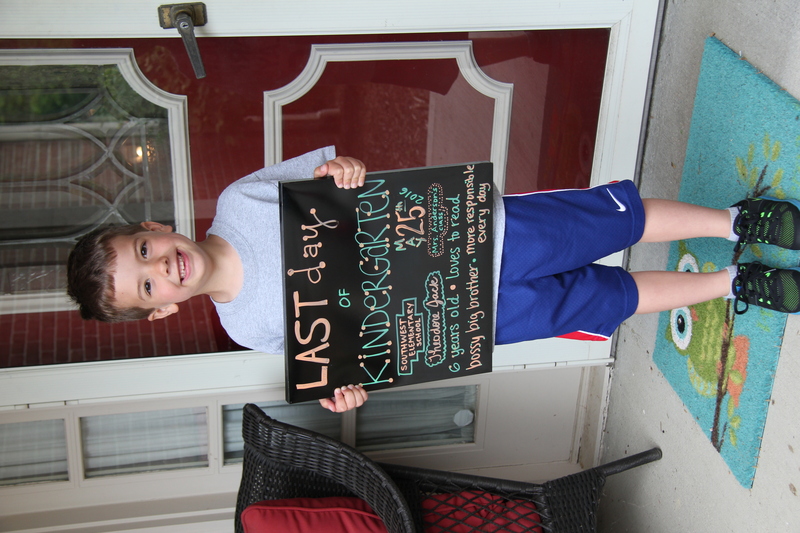 Because the next 13 years are going to fly by, too.